This is the seventh article in the series of eight, started in May 2018 and published monthly in the IEEE ComSoc Global Communications Newsletter, which covers all areas of IEEE ComSoc Member and Global Activities. In this series of articles, I introduce the Vice-President and six Directors on the Member and Global Activities Council (namely: Sister and Related Societies; Membership Services; AP, NA, LA, EMEA Regions) and the two Chairs of the Women in Communications Engineering (WICE) and Young Professionals (YP) Standing Committees. In each article, one by one they present their sector activities and plans. 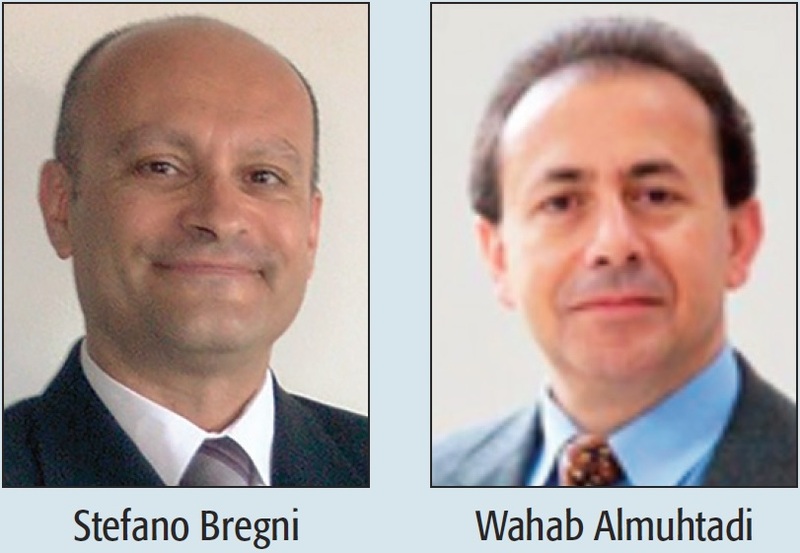 In this issue, I interview Wahab Almuhtadi, Director of the North America Region (NA). Wahab is a professor and coordinator of the Algonquin College/Carleton University Joint Degree Program “Bachelor of Information Technology/BIT-PLT.” He is also R&D Coordinator for the Algonquin Faculty of Technology and Trades. Prior to that, he worked with Nortel as a Team Leader and Senior System Engineer in Optical Solutions R&D. He is the Algonquin Applied Research founder leading to $10.5M in funding from various Canadian agencies, and the founder/designer of the $5M leading-edge Optophotonics Lab/Optical Transport Network. He is an EIC Fellow. He has served at various office levels of IEEE for more than 24 years. His most important positions in IEEE include ComSoc-North America Board Director (2018-2019), President of the IEEE Consumer Electronics Society (CESoc) (2019-2020), Vice President for Education of IEEE CESoc (2017-2018), and Chair of the ComSoc/CESoc/BTS Ottawa Joint Chapter (2008-present). He has chaired and organized more than 29 conferences. He is the Executive Chair of the IEEE ICC 2021-Montreal, and was the Executive Chair of IEEE ICC 2012-Ottawa. Today, it is a true honor and pleasure for me to interview Wahab and offer him this opportunity to outline his current activities and plans as Director of the North America Region. Stefano: Wahab, we might begin by outlining the main characteristics of the ComSoc North America Region. Wahab: The ComSoc NA Region covers a huge geographical area that consists of the United States and Canada. Based on IEEE MGA distribution, the NA Region covers 11 IEEE Regions (Region 1-6 in the United States, and Region 7 in Canada). ComSoc has 216 Chapters (NA: 95, EMA: 51, SA: 25, and AP: 45). As you can see, the NA Region has 95 local chapters, which means almost half of the total number of ComSoc chapters worldwide are in the NA Region. Stefano: You organized and chaired the 35th North America Region Chapter Chairs Congress (NA-RCCC) in Kansas City, MO, USA this year on May 19-20. Would you like to outline what was the main objective of this NA-RCCC, what was its focus, and what have been its outcomes? Wahab: The objective of NA RCCC 2018 was to be a forum that provides the chapter chairs with focused training and workshops that will help the chairs maintain chapter vitality, increase chapter activities, and serve their members and communities. The Congress encourages sharing, feedback, and networking among chapter chairs, ComSoc officers, and staff. The focus this year was to address the main issues concerning the membership and the retention of our Society. The theme of the Congress is “Let’s Work Together as One Team to Increase ComSoc Activities that Leads to Membership Increase and Retention.” The Congress had a lot of dynamics, interaction, and sharing among the chapter chairs, ComSoc Officers, staff, and trainers. Many topics were presented and discussed at the NA RCCC 2018, and the Chapter Chairs participated in training and workshops on how to use vTool as well as training on MD. Marketing: BoG to request that the Marketing Committee create a “30sec – 3min – 30min” pitch (what it is, why, what value and how to take advantage), adjusted to member types (i.e., members, students, professionals, academics, government, etc.). Region and Chapter Matters: Empower volunteers at the four ComSoc Regions and the ComSoc chapter levels to function more autonomously to enable membership growth by: (1) enabling member continuous feedback to keep on top of shifting trends and stay relevant; (2) ensuring OU analytics privileges apply automatically upon assignment of role; (3) creating a collaborative NA RCCC space to share files and lessons learned/best known practices; (4) ensuring new chairs receive welcome message, readiness preparatory information, and expectations list upon new assignment, plus sending previous chair a message from the President thanking them for serving and asking or support in training the new chair. Membership Fees & Types: In conjunction with the ComSoc Strategic Committee and the ComSoc MGA Council, create a Tiger Team of staff and volunteers to develop the appropriate membership fee models and pricing for ComSoc membership. Humanitarian and Community Outreach: Investigate how ComSoc can become involved in humanitarian and community development activity. Volunteer Recognition: ComSoc to recognize most active/successful volunteers at the Region and Chapter level. Stefano: The Distinguished Lecturer Program (DLP) and the Distinguished Speaker Program (DSP) are particularly appreciated by our Members. During my previous term as VP for Member Relations, we increased significantly the budget allocated to these programs, in order to allow more and better DLTs in all Regions. In 2019, the budget will be further increased to meet the enthusiast response of our Chapters. What is your perception of these Programs? How are they organized in the NA Region? Wahab: Both the DLTP and DSP programs are the most prevalent and widespread programs in North America that our NA ComSoc Chapters and members would like to have. The DLTP and DSP are very important forums for knowledge dissemination and idea sharing. These programs are a drive for our Society membership growth and retention. They also attract attendees from industry and academia, and these attendees can be potential members. In 2018 we organized 14 Distinguished Lecturer Tours (DLT) requested and hosted by 33 NA ComSoc Chapters in 40 different locations across North America. We also organized seven Distinguished Speaker Programs requested and hosted by nine NA ComSoc Chapters in nine different locations across North America. Stefano: Among the many activities that you are running, what will be the highlight next year? Wahab: Membership growth and retention, and support and coordinate with our chapters and student chapters.